Kayaking in Gulf Shores, Alabama with Wild Native Tours was an adventure of a lifetime for me. There’s something to be said about exploring places that many people never have the opportunity to see. The clean beach initiative is really taking hold along the Alabama Coast, as people are paying attention to what they toss on their beaches. 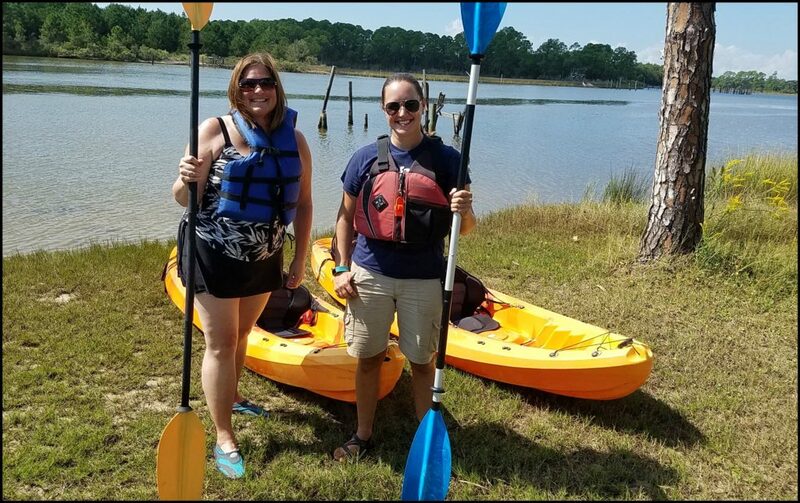 Kayaking was a great way to experience how nature continues to thrive in Gulf Shores, as the Bon Secour Wildlife Refuge is home to many species of birds and beloved dolphins. 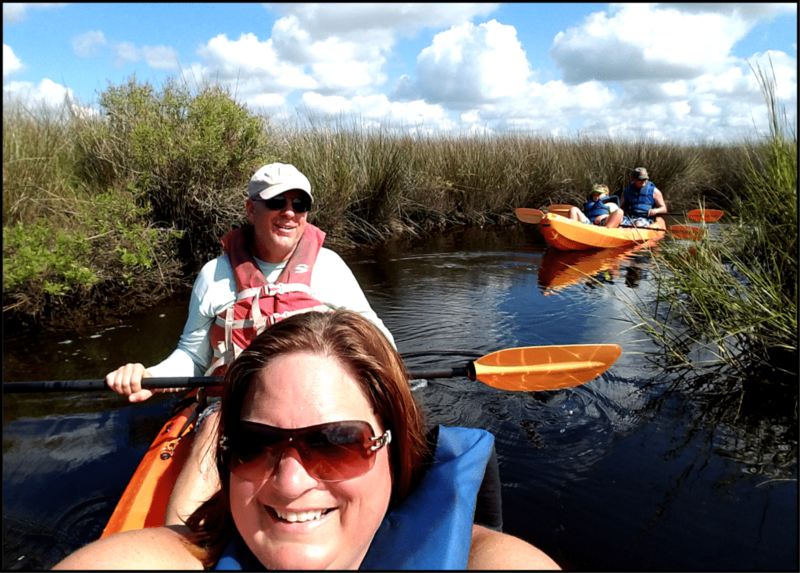 Wild Native Tours provides kayaks and a guide for an exclusive look into the ecosystem that surrounds the waterways in Gulf Shores. Our guide was very knowledgeable and also patient. My husband and I were in a two-person kayak, which was new to both of us. We had never kayaked together and the beauty of the experience was the fact that we did not flip over in the kayak. It was reassuring to have a guide with us, as we crossed the Intercoastal Waterway with closeup views of ships. After we crossed, we were in a paradise that is home to bottlenose dolphins and numerous species of other animals. Our guide shared how dolphins arrive in the bay area we were kayaking and it did not take long to see a few dolphins up close. This dolphin encounter is one that I will remember forever. We had a dolphin swim right under our kayak and I had no idea what to expect, but we did stay upright. It’s easy to book your kayak tour through WildNative Tours, as you can book through their website at WildNative Tours. You can also call 1-800-508- ADVENTURE. Here are some tips on what to bring and how to dress, so you get the most out of your kayaking experience. Wear your bathing suit and bring a change of clothing. A pair of water shoes are helpful, as you will step in the water getting in or out of the kayak. If you do have a cell phone along, make sure you have some type of water proof case for your phone. You will want to take photos along the way, as the scenery is beautiful. If you are as fortunate as I was, you will also see an abundant amount of wildlife. 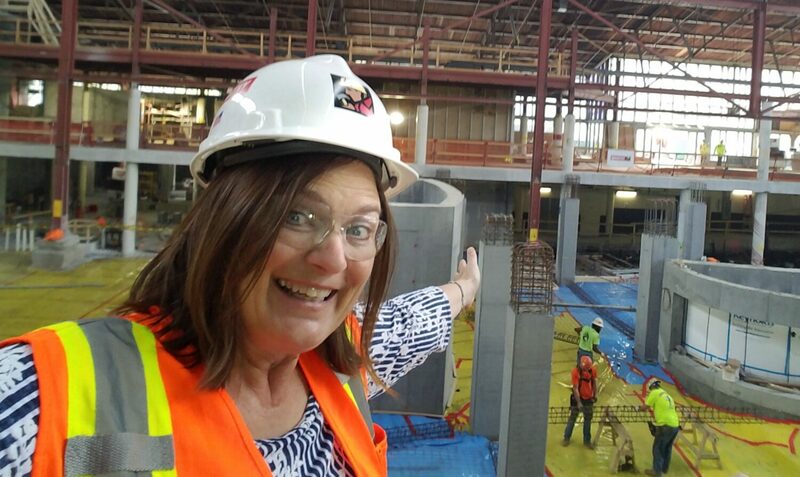 Your tour guide will have bottled water and offer an abundant amount of information about the area. Happy kayaking and remember…. if you pack it in, pack it out! *Thank you WildNative Tours and Leave Only Footprints for hosting me. 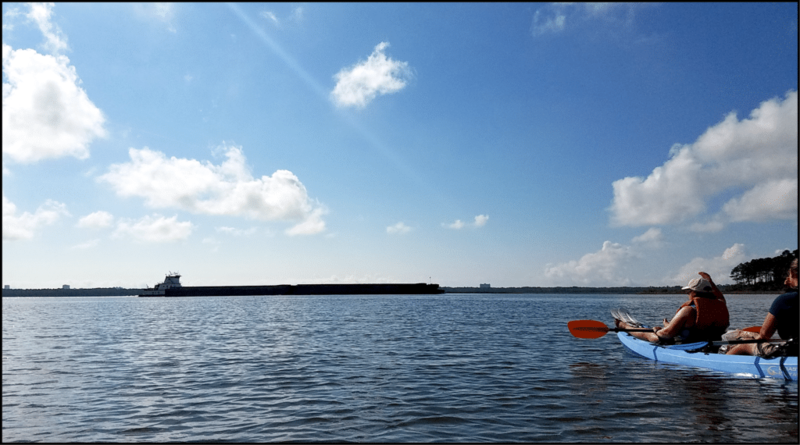 20 Responses to "Exploring Nature By Kayak In Gulf Shores, Alabama"
I have been in the Boundary Waters Canoe area, but not in a kayak! Thanks for reminding me of that, as I need to do that! it is a wonderful way to explore nature. I did it once in the Boundary Waters in Canada. Thanks for swinging by, Claire. These dolphins are a reminder as to why we should pay attention to keeping our beaches clean. Our tour guide took us into areas that the majority of visitors to the Alabama Coast never see and seeing the dolphins in such a peaceful environment was the best part of this. Meg~ It was really a great experience and yes, I do fear my hubby did the heavy paddling! I agree, as it is great to learn how areas of the world are stepping up to take care of our planet. Kayaking in Gulf Shores Alabama with Wild Native Tours sounds awesome! I love the two person kayaks lol mainly though because my husband does all the heavy paddling 😀 Congrats on not flipping over! I’ve done much kayaking before, and had manatees in the water with us, but have not encountered dolphins yet – what an incredible experience for you! I’ve only been to Gulf Shores once, but I’ve never thought to kayak there! I love the idea of getting to see wild dolphins – sounds amazing! WildNative Tours sounds like an awesome company to use! Kayaks are such a great way to get up close and personal with the water, and how amazing to see dolphins so close up! The clean beach initiative is a great idea, we should all be doing our bit to protect the environment, in particular our oceans! It was beautiful… as it would not have been a pretty experience had we flipped!!! What a beautiful spot. I had to laugh when you said the beauty of the experience was the fact that we did not flip over in the kayak. How cool that you saw dolphins. I totally love kayaking and never miss an opportunity to do so! It’s really nice to see some lesser known destinations like this one, and an encounter with wild dolphins is always a magical moment! I had never been in a two person kayak, until this experience. I prefer a one seater! True, you do share the work but we honestly never figured out how to best work together when it came to turning the crazy thing. Oh nice! I love kayaking! The first time I actually did it was just this year on Halong bay and it was really fun but it would be great to do it in the daytime just like you guys! It is also very important to wear a proper attire when doing this activity to be more comfortable! I haven’t been to Alabama but based on your post, I would love to see dolphins! They’s super adorable! This looks like a lot of fun and what a beautiful experience to be so close to dolphins! I went swimming with sealions and dolphins when I was about 10 years old and it was such a wonderful experience. I like the idea of a two person kayak because it means I wouldn’t have to do as much paddling! Interesting, a lot of people have no clue of what Alabama has to offer. Plan a visit and you won’t be disappointed. Wow. You can do this in Alabama? OK, when I visit the state for the first time, I must put this on my list. Didnt even know they had dolphins there. Now I want to check out this place. There is so much here, worth a visit! I have wanted to go to Gulf Shores, Alabama for a while, now (everyone I know who’s been has had a great time), but I had no idea there were bottlenose dolphins there! So great to hear about the Clean Beach Initiative, too.